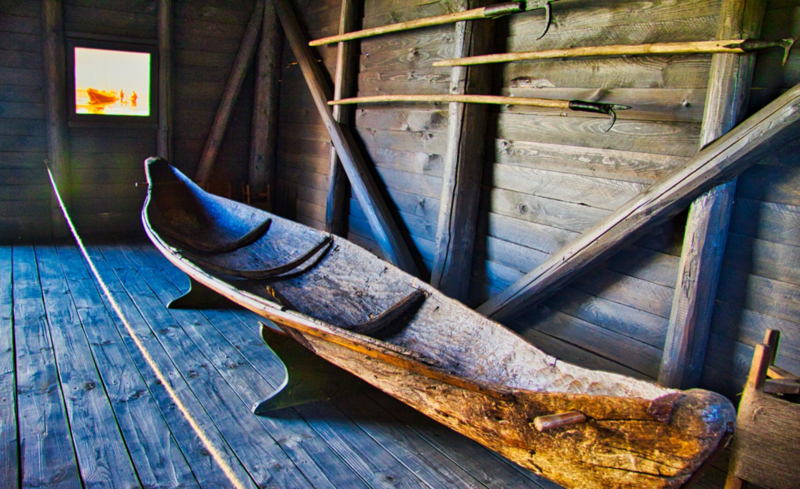 The museum is focused on the history of the Uyezd town of Spassk and its relation with river Volga. Through the archaeological findings related to fishing and ships, and also the trade and shipping activity in the town on the bank of Volga during the 18th-19th centuries is presented here. The museum also tried to focus on the dependency of river on the daily life of the town. 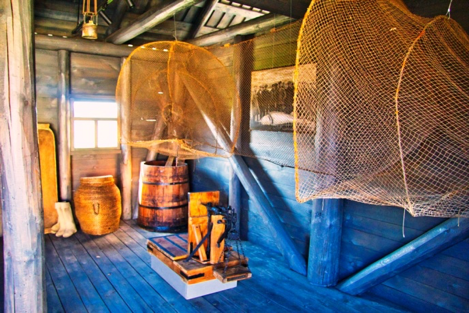 In one exhibition, there is a collection of artifacts, which were used for fishing and for functioning ships. A traditional boat made of single cut wood, a fish grinding machine, a specially designed weight scale used for weight measurement on deck and some fishing tools are being displayed. 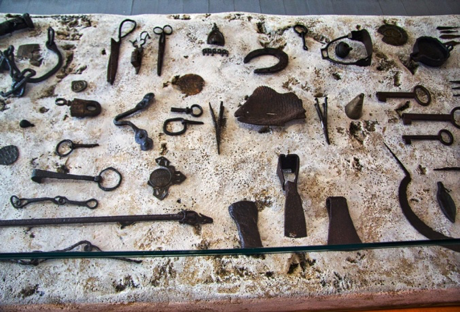 Other exhibition house has the collection of different fishhook of different size used for fishing, various tools used in boats and ships, different painted ceramics, which were discovered by archaeologists in Bolgar. It also has a good photographic collection of shipping activities, a French map of Bolgar and a journal on Bolgar of the 18th-19th centuries. This museum is located within the one of the house complexes left by its previous inhabitants. The complex has three wooden house among them two are occupied for exhibition. It also has an outside sitting area and a lane. The museum complex is very beautiful. It looks more like a Bunglow. The use of the complex gives a feeling of a ship. 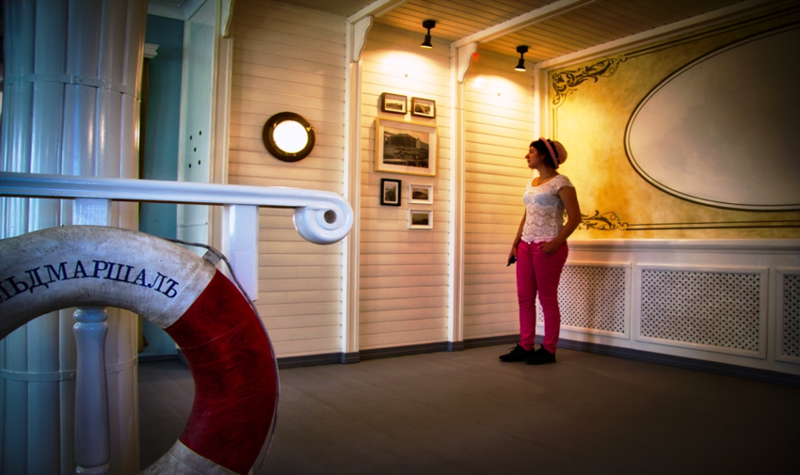 The yellow colored house is being used to exhibit some artifacts and it has been decorated in such a way that it looks like a real living room of a ship. The other black colored exhibition house gives the feeling of a storage room which is exhibiting the storage equipment like fishing net, grinding machine, a specially designed weight scale to measure the weight of the fish or other materials in the storage. The open sitting space gives the feelings of the deck of a ship. 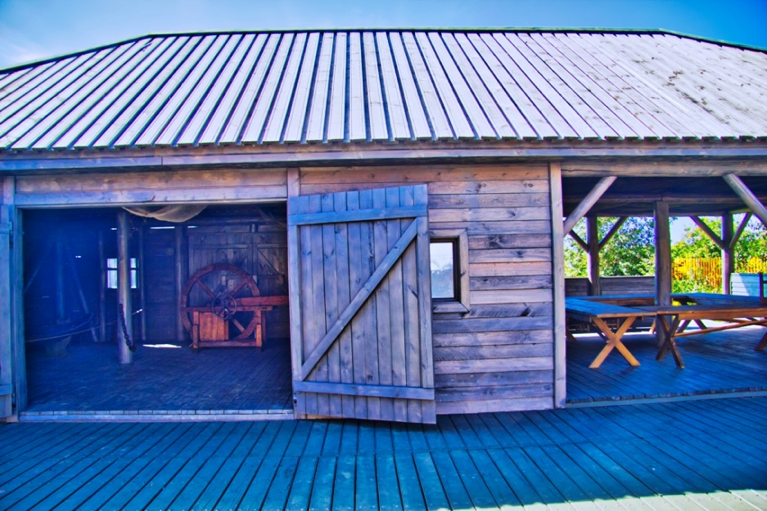 Although the museum is very small but nicely decorated, its exhibits mainly related to the fishing, trade of object by ship through Volga river and also various shipping activity in the destroyed town of Spassk on the bank of Volga river. But for the lack of proper interpretive measurement, it is really difficult for a visitor to understand the history of the town Spassk, the influence of river on the town and abandonment of the town. Tickets: adults – 60 rubles; schoolchildren, students, retired – 30 rubles (payments are accepted only in cash). Excursion is included to the entrance ticket price. Photo and video-shooting is free. Special Needs: the museum has a small step in its one of the exhibition house and it is not much difficult to access with wheel chair.